Leverkusen’s start to the season has been full of ups and downs. While the hosts have taken seven points in impressive fashion over three fixtures at home to Hoffenheim (a 2-2 draw), Freiburg (a 4-0 win), and Hamburg (a 3-0 win), as was the case last season, their performances on the road have simply not been up to par. Boss Heiko Herrlich should be content enough with the point his team picked up at Schalke last time out before the international break (a 1-1 draw), but Leverkusen are still behind pace for this season’s target of European qualification. While new-boss Martin Schmidt might not have made the most dramatic impact upon arrival at Wolfsburg, the Wolves do have a refreshed look to them in the hands of the former Mainz 05 manager. Under his guidance, Wolfsburg are unbeaten, taking an impressive point on the road to Bayern Munich, despite trailing 2-0 at half-time, and a point at home to his old club, Mainz – even with veteran striker Mario Gomez sidelined for both! From a betting perspective, backing goals at both ends has to be the way to go here. Bayer Leverkusen vs Wolfsburg has been one of the most consistent fixtures for this market in recent years, with both teams scoring in a massive 12 of the last 13 meetings between them (93%). Such a trend looks set to continue here too, with Leverkusen in fine scoring form at the BayArena – 9 goals in three outings – and Wolfsburg themselves scoring at least one goal in all but one of their last 6 Bundesliga outings, including two against Bayern Munich. In terms of the full time result, the price on the hosts seems unreasonably short, so backing a few quid on the visitors double chance (win or draw) has to be worth a punt on Sunday. 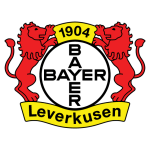 While Leverkusen’s have been strong enough at home, the matches in which they’ve truly “outclassed” their opponents were the more favourable ones. Wolfsburg have proven themselves a tough team to beat, losing just two of their opening seven matches (W1 D4 L2), and, that being said, they’d no doubt be very content with another point here. Our prediction: a 2-2 draw.